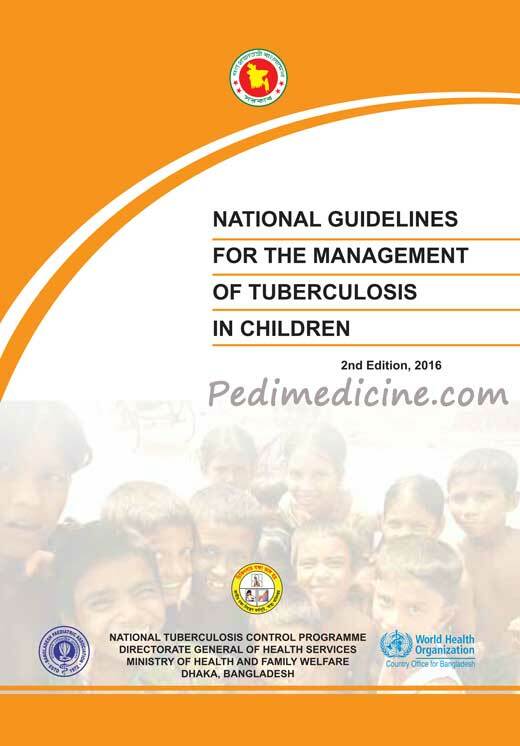 Directorate General Of Health Services under Ministry Of Health And Family Welfare Bangladesh has published the National Guidelines for the Management of TB in Children recently. 1st edition was published in 2012 and now the 2nd edition has been published in 2016. A lot of changes has been made in this new TB guideline. It is published by World Health Organisation (WHO). WHO has the policy to review guidelines every 3-5 years. Hence, NTP, Bangladesh has decided to publish the second edition of the guideline. Bangladesh is a hugely populated country and Tuberculosis is a major public threat. The Govt is working with WHO to reduce the mortality and morbidity. Bangladesh has an estimated population of 160 Million and children <15 years is 53.7 Million. Children’s are at great risk of TB. Keep this TB Guideline pdf in your mobile for quick referrence. How to Buy Hardcopy of TB Guideline? It is available in Aziz Super market, Shahbag. Both color print and the balck-white print is available. If you want it by Courier service, that can be managed too. With or without laboratory or radiologic evidence suggestive of TB. How to Diagnose a Case of TB? 4. Fatigue, reduced playfulness, decreased activity. Diagnostics tests have been elaborated here. Streptomycin is now on the list of 2nd line Anti-TB drugs. All children who have been diagnosed with TB disease must receive directly observed treatment (DOT) with the appropriate regimen and this must be recorded in the TB treatment register. Doses of Fixed Doses combination has changed.